A battery supplies power to the vehicle for running, and so, it should be kept in the top condition to avoid breakdowns and poor fuel mileage. However, any automotive battery is bound to get worn-out after certain years of use. In such situations, you need to install a new battery in the vehicle. We are a one-stop shop for the battery replacement and dual battery installation for American, Asian, and European Cars and 4WDs. You always want to have a long drive without any hiccup. You don’t want to be stranded on the road due to battery failure. But Australian weather is not kind enough to your car battery. That’ s why you always search reliable battery shop to ward off any problem during your sojourns. Your search for reliable car battery shop end at our car battery shops in Springvale, Clayton, Noble Park, Mulgrave, and Dandenong, we can solve all your battery-related problems in the one roof and provide the cheap battery. We are proficient in car battery installation and car dual battery installation. A car battery is one of the crucial components of your vehicle. You need to protect and ensure that it provides optimum performance. By checking your battery regularly, you can avoid bigger problems. In case, if you found an anomaly, you need to approach reliable battery shop. 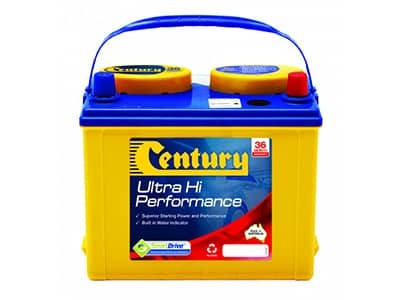 The scorching heat of Australia is one of the major causes of poor performance of the car battery. By evaporating water and electrolyte from the battery, heat can shorten the lifespan of your car battery. At our sprawling battery shops equipped with all the latest diagnostic tools, we provide you premium car battery related services at a competitive rate. By using the latest tools, our auto electricians thoroughly check your battery and quickly and efficiently fix your battery-related problems. Without disturbing the existing electric set up, we install the new compatible battery, which exactly matches your vehicles’ specification and dimensions of your original battery. As we stock all types of the battery from all leading manufacturers of the world, we provide you with a cheap battery replacement at our shop.We continuously trained our auto electricians to understand nuances of the various types of battery. That’s why our trained, experienced and skilled auto electricians can handle any kind of battery-related repairing work.We are also competent to install dual battery at all for all types of vehicles. After providing a free check up to your car battery at our battery shop, we advise you regarding how to keep your battery healthy. We always keep our customer in the loop regarding the condition of the battery and probable options to rectify the fault. We provide quality services with the highest level of ethics. That ’s why our pricing policy is transparent and fair. Our technicians check the condition of the old battery and assess whether it needs to be replaced or not. We charge the best prices for every service and test the functioning of new battery before returning the vehicle to you.